I don't know about you, but I am LOVING when I find a recipe that is simple, made in the crockpot, and is still yummy. 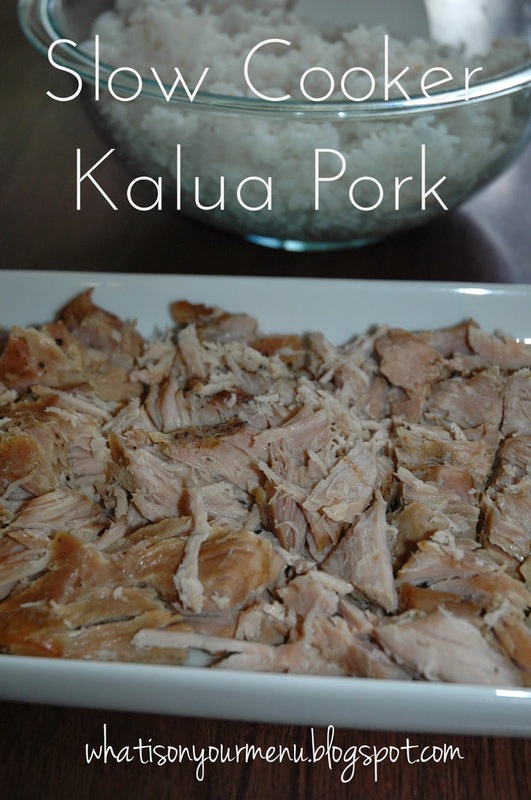 This kalua pork is all of those things. And my family likes it. Score! It has three ingredients: pork, liquid smoke, and salt. That's it! Drop the pork into the slow cooker, sprinkle some liquid smoke over and it and sprinkle some salt onto it. Put the lid on and turn on the slow cooker and you have dinner 7 hours later. This is a favorite recipe to make on Sundays, so it can slow cook while we're at church all morning. I like to serve it with Simple Coconut Rice. So simple! Just sub a can of coconut rice in for some of the water when you cook your rice. 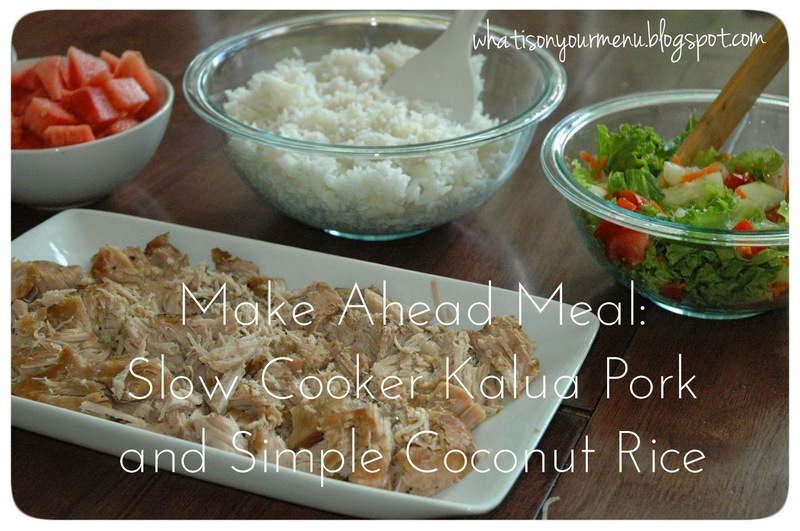 I throw it in my rice cooker and set the timer on it so it's done when we'll be ready to eat.Serve it with a veggie and some fruit (pineapple or mangos are fabulous and very Hawaiian). We usually have leftover pork and rice, so we use them to make delicious pork tacos the next night. Rinse pork and pat dry with paper towels. Prick pork with a fork. Sprinkle liquid smoke onto pork and rub into the prick marks with your hands. Place pork in slow cooker. Cook on low for 7 - 8 hours. Remove from slow cooker and shred. Drizzle a little bit of liquid from crockpot onto pork before serving. Serve with: simple coconut rice, fruit and a veggie. Use leftover rice and pork to make delicious pork tacos the next night.